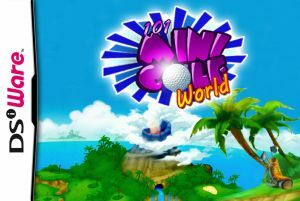 101 MiniGolf World is the first ever“true 3D” miniature golf for Nintendo DSiWare™! 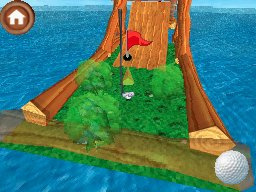 Your stylus becomes the putter for an incredibly fun minigolf experience as never seen before! 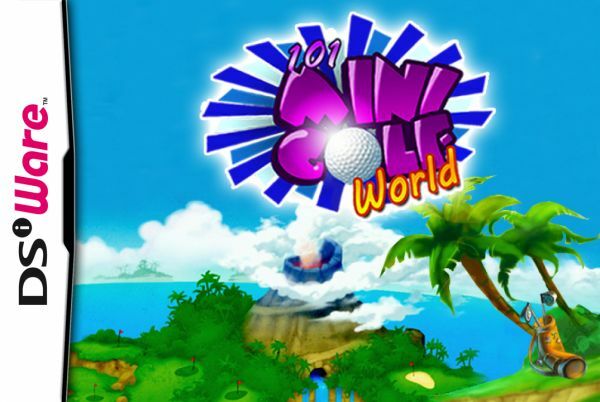 Play over 100 fun and challenging holes solo or with up to 8 friends on one console. What will be your record to finish all courses with the lowest number of strokes? 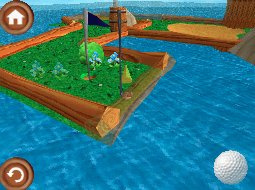 The intuitive 3D Virtual Play eases the use of controls with just a stylus to sink putts as you send your ball flying through loops, pipes, arches, extreme ramps and mind-blowing obstacles! 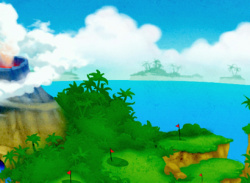 With a combination of real golf rules and wacky MiniGolf fun, it's the ultimate challenge for Nintendo DSiWare™! 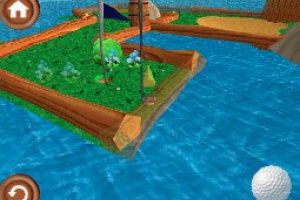 Looks like it was the companies first 3d game ever (not that i know), but still seams pretty nice. 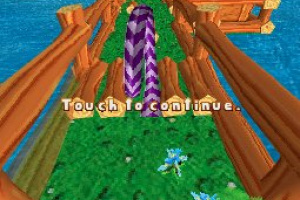 The graphics remind me of one of one of the 3-D donkey kong games. For 200 points I would buy this, but I'm guessing its going to be 500 or 800 points. Finally, a release date! This game looks awesome and for 500 points to boot. 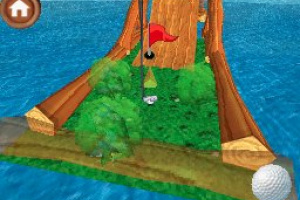 I, for one, am waiting for this game! I might pick this up. 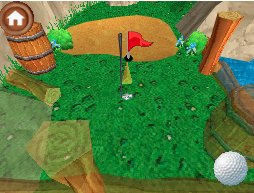 Hm..... 100 holes for 500 points. This could work. 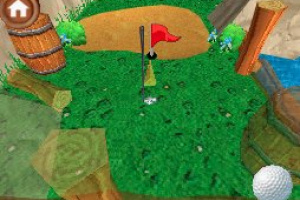 Has anybody played this today? First impressions?? Looks mad fun. I'd buy it right now if I could get on the internet where I am. But I second that. Impressions anyone? 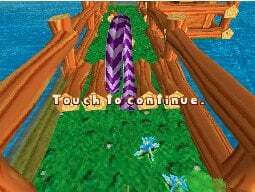 beware, i experienced problems with this game locking up on me. This game has now locked up on me on two different DSi's, twice on the first (both from fresh downloads) and once on the second. If you're still interested in the game, even after the review, i would hold off on this until Teyon is able to update it somehow. Wow just by watching the video the physics look completely messed up. I havent played this game before so I dont know how its relly gone to turn out.